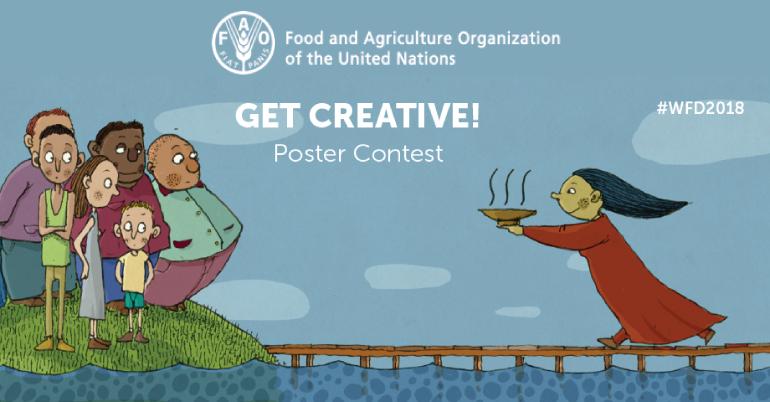 Food and Agriculture Organization of the United Nations is calling on children and teens all over the world, from age 5 to 19, to use their imagination and create a poster that illustrates their idea of Zero Hunger. Young minds can be inspired by the World Food Day Activity Book that explains what Zero Hunger is all about, and how everyone needs to come together and take action to reach this global goal. Take a photo or scan your poster and submit your entry by filling out the form on the Apply Now Link. Remember to do so before 9 November 2018! Poster entries may be drawn, painted or sketched using pens, pencils, crayons or charcoal, or using oil, acrylic or watercolor paint, as well as mixed media. Digitally created artwork is also permitted. No photographs are allowed.